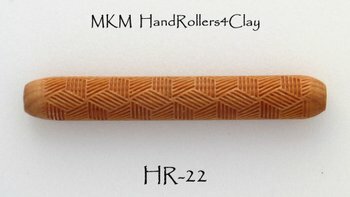 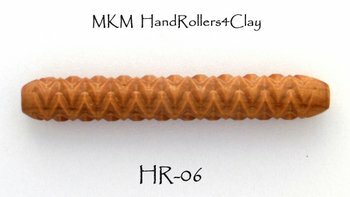 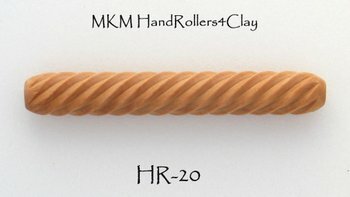 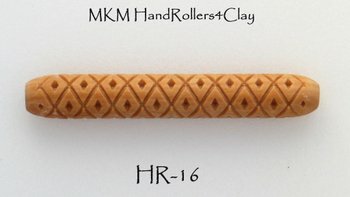 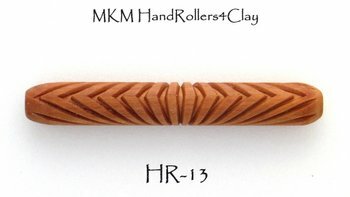 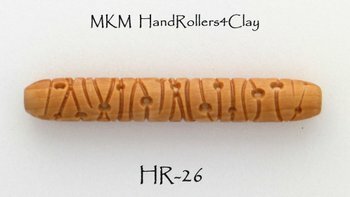 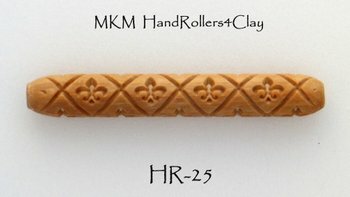 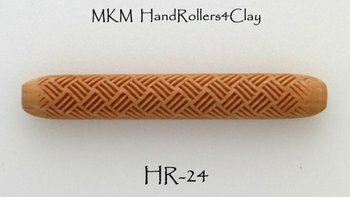 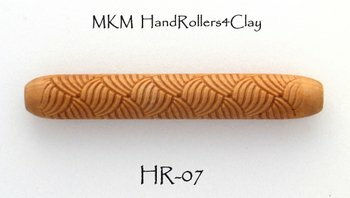 We offer the following MKM hand rollers. 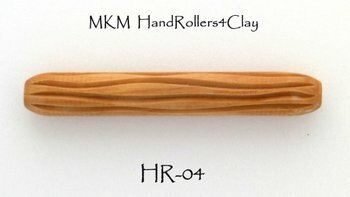 No handle is needed with these rollers. Just roll them with your hand like a rolling pin! 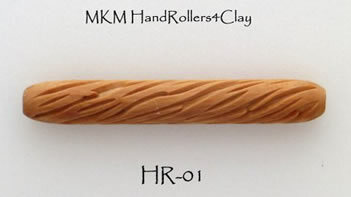 Roll vertically up the wall of a thrown pot, or anywhere on a slab. 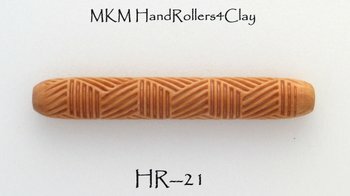 Remember, the white areas will press into the clay and the black lines are the clay will push up towards you from the background. 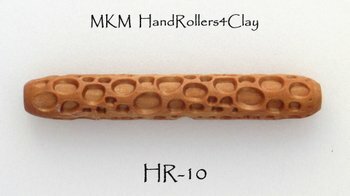 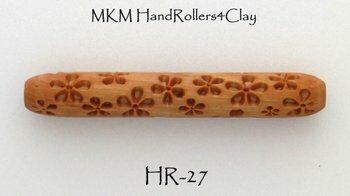 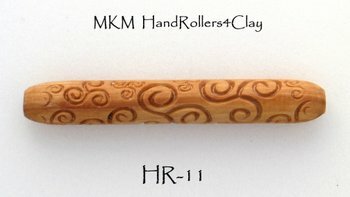 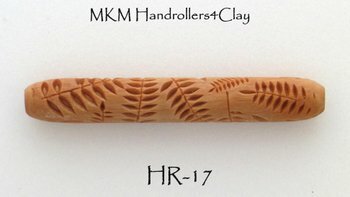 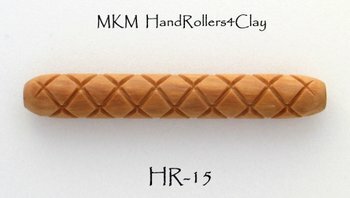 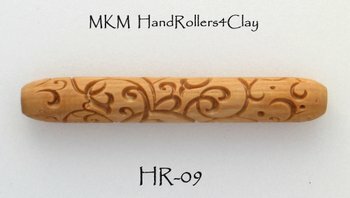 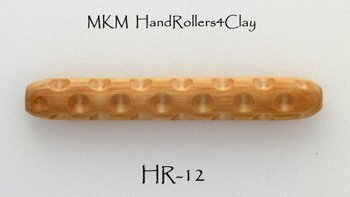 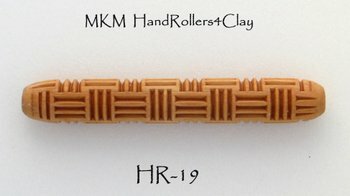 HandRoller dimensions: 10cm (4 inches) long, 1.5cm (0.6 inches) diameter. 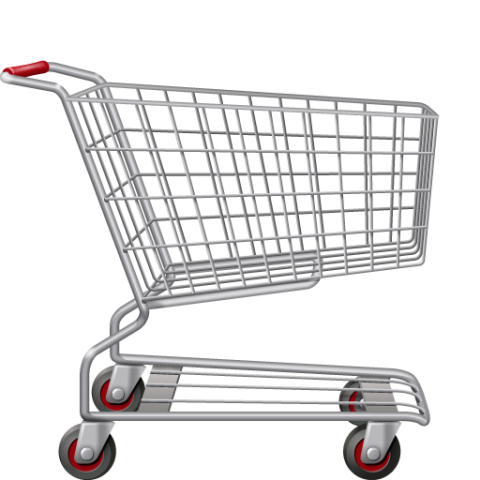 Click HERE to see new items similar to this one.